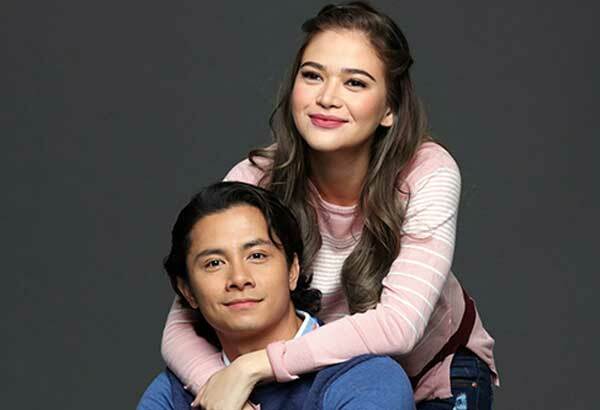 MANILA, Philippines — After the success of “100 Tula Para Kay Stella,” Kapamilya actor JC Santos revealed that his next movie with Kapamilya actress Bela Padilla is more mature and daring. “It’s (going to have) a different plot and characters. Mas mature, daring. Ibang iba sa ‘100 Tula’,” JC assured. The theater-actor-turned-movie-star said he is now more comfortable with Bela in their upcoming movie. “The second time around is sweeter kasi nga mas comfortable kami sa isa’t isa and nag-eenjoy nalang kami eh. Usually two takes nalang eh kasi nga chemistry wise, okay na eh,” he said. Rather than being pressured in sculpting their bodies for the daring scenes, JC admitted he and Bela are feeling more pressured on how they play their roles and how the viewers will embrace their new movie. “Mas pressured kami ni Bela kung paano namin bubuuin ‘yung characters,” he shared. Beside the movie with Bela, JC is also doing a love story movie with Angelica Panganiban to be shot this July. He is also in the hit teleserye “Ang Probinsyano,” portraying the role of the new lover of Alyana, played by Yassi Pressman. “Si Yassi kasi is really a good actress. We’re friends na eh. Hindi naman kami ‘yung parang ngayon palang nagkakilala tapos game na agad, so parang hindi na kailangan ng workshops,” he said when asked how comfortable they are in being lovers in the show.